Super cute and in very good condition! •NWT Athleta Bliss 5" Shorts. Super flattering curved seam lines turn your backside into your best side. FIT & SIZING. Machine wash and dry. •Size SMALL. Pulls sweat away from the body so it can evaporate faster. GUC with minor wear, as pictured. 88% Supplex Nylon and 12% Lycra Spandex. Rise - 10". Waist - 38". Athleta Reflective Be Free Leggings Black & Gray. Full length. Women’s Size Small Very good condition. No stains or flaws. Normal wash and wear with minimal piling. Smoke free home. New ListingATHLETA 2019 Camo Contender 7/8 Tight Leggings Small Black Workout 0419! Before purchasing. Sneaky side zip pockets secure your phone while you train. Fully adjustable NeverEnd drawstring won't get lost in the wash.
FEEL: Powervita™ fabric is buttery soft with compression that feels like a gentle hug. FAVE: Bonded-edge stash pockets look barely there. Bonded-edge stash pockets look barely there. Inseam: Regular: 26.5" Petite: 24.5" Tall: 29.5". Athleta Midtown Trouser Pants Solid Black Great athleisure, every day pants. 92% Polyester 8% Spandex Size 8 Excellent condition. Smoke free home. NWT Athleta Suryana Strappy Bra. Pulls sweat away from the body so it can evaporate faster. FEEL: Sleek fabric molds to your body and retains its shape. FIT & SIZING. Machine wash and line dry. LOW COVERAGE. Lightly used a few times and in almost new condition. Poly/spandex blend. Waist has internal adjustable tie band. Waist is 15" across flat, with a 22.5" inseam. * Items are shipped the same day or next day Monday-Friday * I promptly leave feedback once feedback is left. Please no offers/bids if an item is listed as "Buy It Now" Thank you for your business! Athleta Cadence Tank Top. Machine wash and dry. RATED UPF 50 (Excellent Protection). Pulls sweat away from the body so it can evaporate faster. Machine wash and line dry. Pulls sweat away from the body so it can evaporate faster. IT FEELS: Beyond-soft with light compression, ultra-lightweight. fabric care. 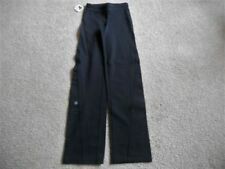 Athleta Chaturanga Full Length Leggings Solid Black Size XS Rise measures 8” Excellent condition. No stains or flaws. Smoke free home. INSPIRED FOR: yoga, studioTo Fro. 591284 Fully Focused Sports Bra in Powervita. Machine wash and line dry. Color is Black - shown in rose from the front for fit reference. Mid-rise neckline strikes the balance between concealed and revealed. Athleta Trekkie Jogger pants black Size 6. Condition is Pre-owned excellent condition.Shipped with USPS First class Mail. ATHLETA BETTONA BOYFRIEND CAPRI PANTS CROP CARGO POCKETS BLACK SIZE S SMALL. 30” long. Looks like first 2 photos but Capri length. 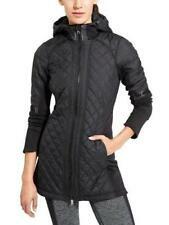 Athleta Fleece Lined Cargo Pants Black. Size small. Pal Pal only. Fit sizing. Machine wash and line dry. Pulls sweat away from the body so it can evaporate faster. IT FEELS: Sleek, compressive with amazing hold and support. product details. Athleta Ready Set Go 2 in 1 Running Shorts Solid Black with Reflective Pockets Size XS Waist measures 13” across the top with a stretchy elastic waist. Inseam is 3.5” Excellent condition. No stains or flaws. Smoke free home. Moto Leggings. Faux leathe rinsets. material feels like it could be worn to gym. in really good condition. has zippered pockets and zippered ankles. ATHLETA 2019 Camo Contender 7/8 Tight Leggings Small Black Workout 0419!